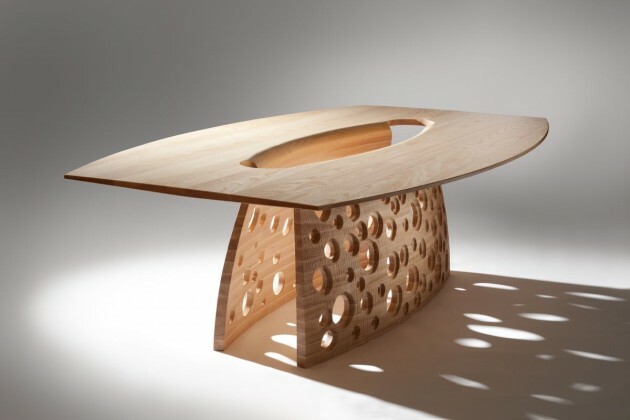 Irish furniture designer/maker John Lee has created the SALCOMBE Table. 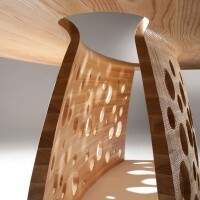 The dining table is made in Solid Ash. 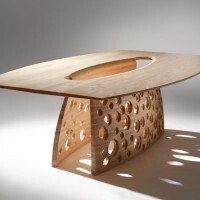 The table is a private commission which was inspired by the coastal location of my client’s house. 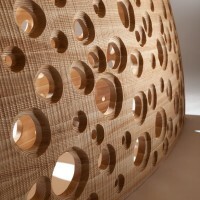 The inspiration for the “holes” came from eroded sedimentary rock and the effects of erosion. The tables underside and the outer face of the base have been textured and sandblasted. Visit John Lee’s website – here.